At seventeen, Avaline Hall has already buried her mother, survived a horrific factory fire, and escaped from an insane asylum. Now she’s on her way to Blythewood Academy, the elite boarding school in New York’s mist-shrouded Hudson Valley that her mother attended—and was expelled from. Though she’s afraid her high society classmates won’t accept a factory girl in their midst, Ava is desperate to unravel her family’s murky past, discover the identity of the father she’s never known, and perhaps finally understand her mother’s abrupt suicide. She’s also on the hunt for the identity of the mysterious boy who rescued her from the fire. And she suspects the answers she seeks lie at Blythewood. But nothing could have prepared her for the dark secret of what Blythewood is, and what its students are being trained to do. Haunted by dreams of a winged boy and pursued by visions of a sinister man who breathes smoke, Ava isn’t sure if she’s losing her mind or getting closer to the truth. And the more rigorously Ava digs into the past, the more dangerous her present becomes. 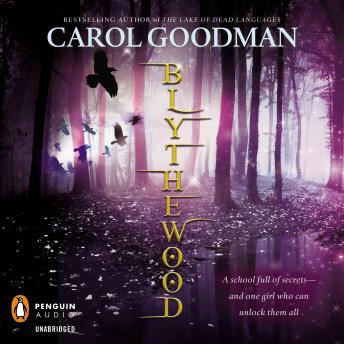 Vivid and atmospheric, full of mystery and magic, this romantic page-turner by bestselling author Carol Goodman tells the story of a world on the brink of change and the girl who is the catalyst for it all.